Technology is truly a wonderful thing. Among its greatest contributions is closing the gap between people from all over the world and providing better and more effective ways to communicate. Business professionals and even families who are oceans apart can now converse real-time with whoever they wish through the technologies of audio, video and web conferencing. Whether you are a businessman or just homesick and missing your loved ones back home, these three ways of communicating can sure bring you closer to whoever you’d like to hear from. Here are descriptions of their similarities and differences. An audio conference is also known as a conference call. It involves a telephone call initiated by the host calling party connecting with two or more call recipients. Generally all callers call into a predetermined phone number and enter a security code to access a call. The host has the option to call out to others in order to participate in the call, thus conferencing, or sometimes simply listens to the conversations between the host and other called parties which is common in business settings. An audio conference is nicknamed ATC, or audio teleconference. 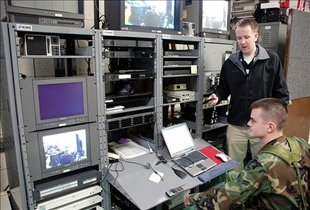 A video conference, on the other hand, is an interactive technology for telecommunication meant for two or many more remote locations to connect and interact through a two-way video. Their voices are simultaneously transmitted via audio transmission and other mediums such as document sharing are conducted easily. Simply put, it allows several people to be in a call at the same time and see one another as if in a real conference. And a web conference is a type of live meeting or presentation done on the Internet. During a web-con, every contact has their own computer and connects with other contacts through a program on the Internet. This program is usually a web-based application which contacts can access by clicking on a link given to them by the person who initiated the web meeting. A web conference may or may not include an audio presentation. In a typical telephone conference, the participants in the conference use a telephone as a medium. The initiator of the conference then dials into the audio bridge and either waits for the other parties to call into the same number or the host may choose to call the parties he wants to connect into his conference call. On the other hand, a video conference makes use of simultaneous video and audio transmission which is then led to a common MCU (multi-point control unit) or video bridge in addition to connecting the same call to an audio bridge which makes the interaction of the parties involved possible. Finally, in a web conference, uses a PC with Internet connection, a headset, a telephone audio line or voice over IP audio connection and a video camera. The participants connect to a single server through a program where they can chat and talk to each other. A telephone conference is available through a lot of telecommunications providers. All the subscriber has to do is ask for the use of a conference call feature. With video conference, the same applies. They are also regulated by the telecommunications company the communications lines borrow from. Finally, with web conferencing, most of the times, there are a lot of free software which enables this function such as Skype, Yahoo! Messenger and the like. Telephone conference makes use of a telephone and an audio bridge for conference calls. Calls can include thousands of participants. 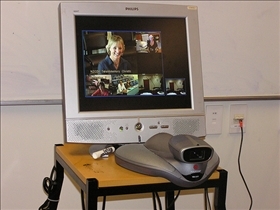 Video conferencing makes use of a telephone bridge and a video bridge for conference calls. These calls are generally limited to 16 participants or fewer. Web conferencing makes use of the Internet and most of the time free software. This is the cheapest way to make a conference call conversation and can include a large number of participants. Which type of conferencing are you likely to use? Thank you for clearing up the differences between the three types of conferences. My firm prefers video web conferencing because we can see everyone's lovely face. PLus the software that we use, Instant Presenter. Offers several features that we love, here are just two: Screen sharing let's us share anyone's screen in real-time and we can customize every webinar using our company's logo. Of course, the essential tools offered by any online collaboration application are audio video conferencing, white board markups, screen sharing, and chat facilities. Some are appliance-centric like RHUB http://www.rhubcom.com that allows you to host webinars, web conferencing and remote support sessions without anyone having to download or add plug-ins. For interactive online workshops web meetings are complemented by electronic meeting systems (EMS) which provide a range of online facilitation tools such as brainstorming and categorization, a range of voting methods or structured discussions, typically with optional anonymity. Typically, EMS do not provide core web meeting functionality such as screen sharing or voice conferencing though some EMS can control web meeting sessions.